These are interesting little spiders because they look like a crab. Generally small they spin their geometric webs in the mangroves and wait for lunch to arrive. 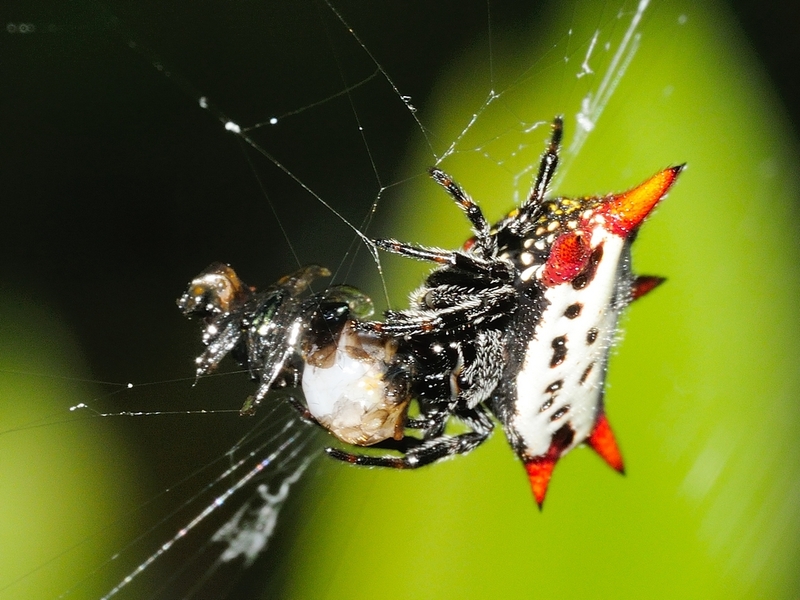 They generally sit in the middle of the web and I sometimes think they should really be called flowerlike Orb Weavers because they are about the size and coloring of a lot of the mangrove flowers. But, the shell and spines make them look crablike up close. 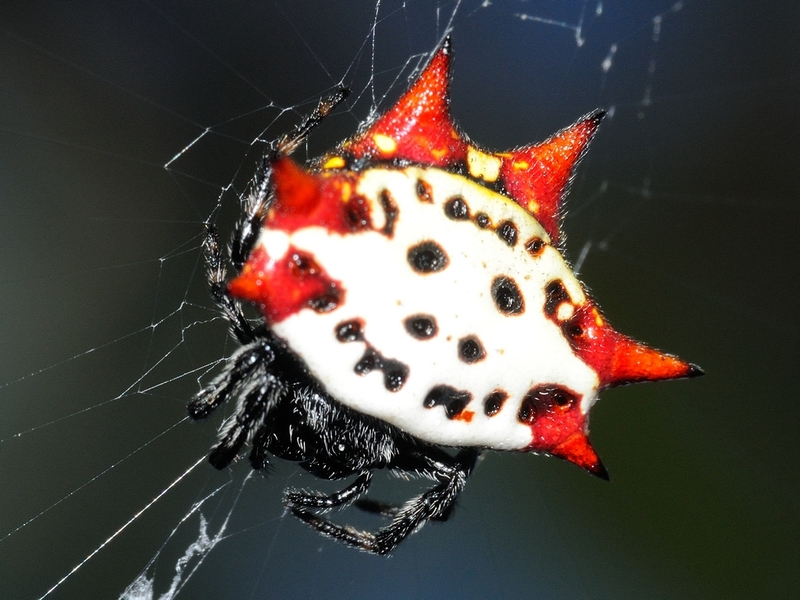 As you can see, the top of the spider is colorful while the bottom is almost completely black. This final shot shows one with lunch. 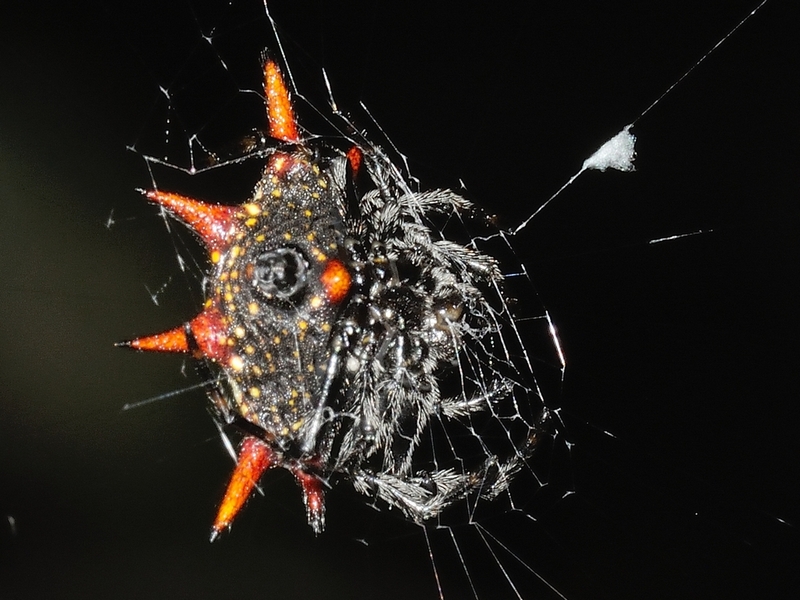 This entry was posted in animal behavior, Bug, Spider and tagged crablike orb weaver, Gasteracantha cancriformis, Leitz ELPRO VI, Nikkor 30-110mm, Nikon V1. Bookmark the permalink.